Simply put, WAR OF THE REALMS rules. 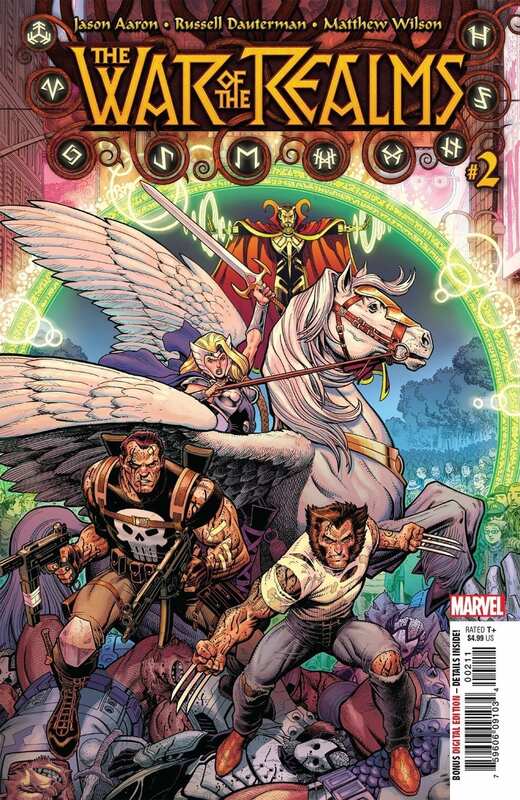 Jason Aaron’s massive epic WAR OF THE REALMS continues in the explosive second issue. The heroes of Marvel’s universe are all that remains against Malekith’s crusade to rule all realms. “It’s like a Dungeons & Dragons bomb went off!” says Iron Man as he soars through the battleground that is Manhattan. 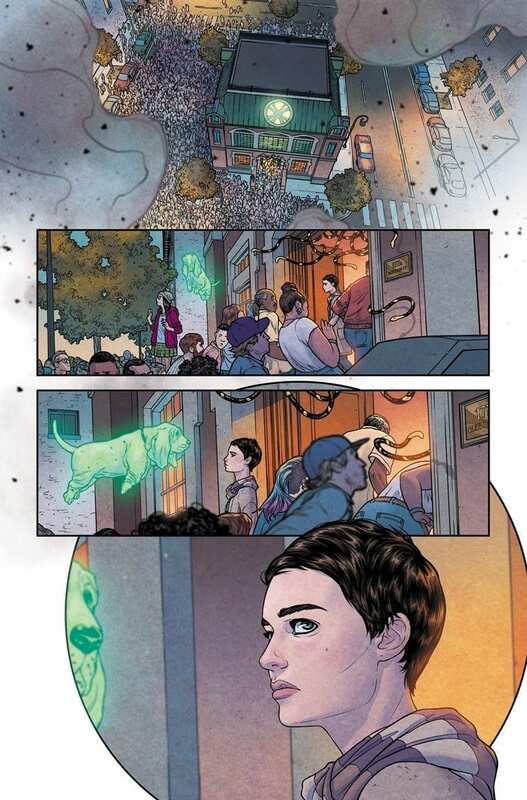 War Of The Realms #2 jumps right back into the street-level action, constantly one-upping itself with every page turn. 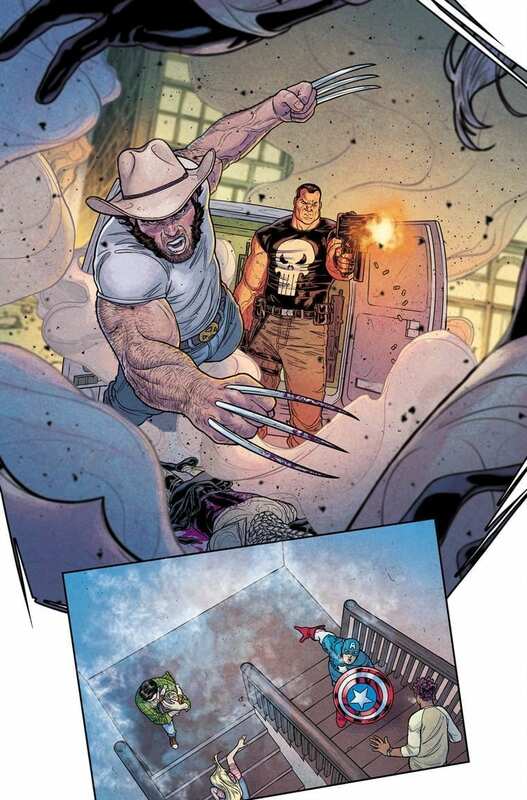 Jason Aaron’s monumental story is full of all the elements that made Marvel events matter in the first place. His script throws every bit of action you can handle right at your face while effortlessly showcasing hilarious and charming character moments. There isn’t a character in the 616 universe that Aaron doesn’t have a handle on, he flexes his Marvel muscle in almost every scene by delivering witty and often hilarious exchanges. 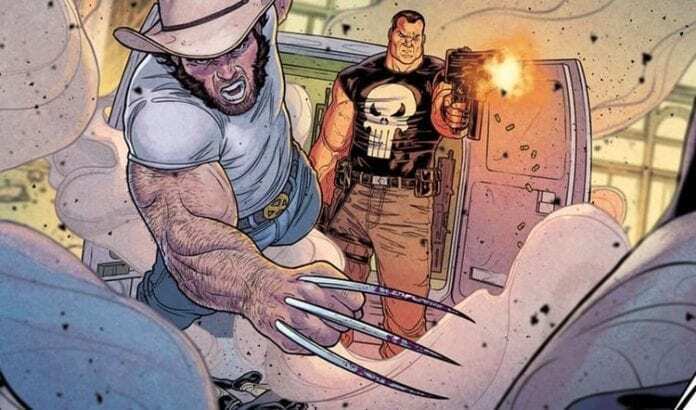 He’s also single-handedly molding the Robbie Reyes Ghost Rider into a very charismatic character between his work on Avengers and War Of The Realms. Doctor Strange’s helpful spell that was a bit too helpful was a memorable turn that sets in motion the story lines taking place away from the front lines. Malekith’s televised slaughter is legitimately brutal and disturbing as our heroes watch in terror. There’s so much going on in this war but it’s delivered in a cohesive package that won’t lose you. Whether it’s Captain America bursting through a top story window to bash the face of a giant or Odin and the Valkyries arriving to provide backup, Russell Dauterman dazzles. There’s a massive scale that’s felt at every turn, the destruction is awesome and majestic. Every character’s concern and determination is illustrated flawlessly. The drama unfolds in Dauterman’s art while Jason Aaron keeps things light upfront with the dialogue and story. This creative team is absolutely dynamite once again. Colorist Matthew Wilson perfectly elevates Dauterman’s art to the next level with an impressive and satisfying display. There’s so much life and chaos flooding your eyes on every page thanks to the chemistry Wilson and Dauterman have established. 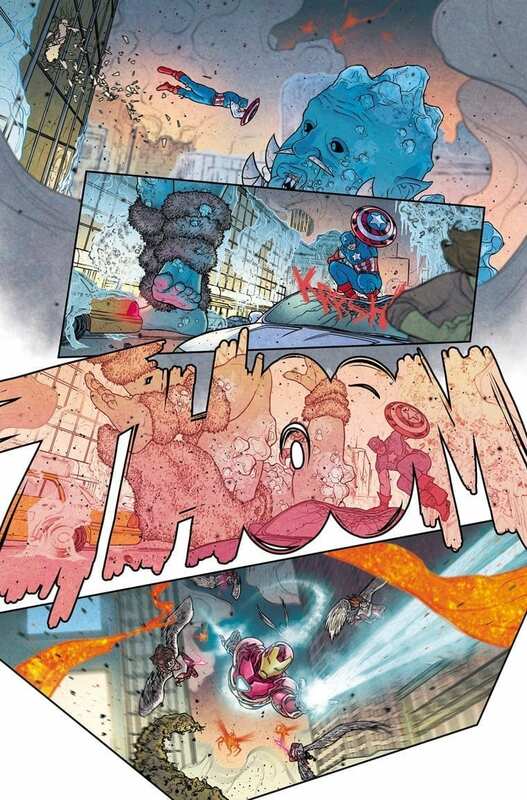 War Of The Realms nails the scale and execution needed to make this event live up to the hype created by Jason Aaron’s longtime run with Thor. There’s plenty of comic book crossover event cliches but they’re deployed in clever ways and you’re having way too much fun to even notice any familiarity. This is shaping up to be the best Marvel crossover event in years and we’ve barely just begun. Giving Jason Aaron the keys and and control to so much of Marvel’s crucial properties was a very wise decision to get the universe back on track. There’s a healthy dose of humor, action, violence, drama, and cheese all wrapped up in a beautiful looking package. War Of The Realms is the real deal. If you’ve taken a break from Marvel events, now might be the time to come back.